I'm very excited to share with you that I have a book being published by Martingale & Company. 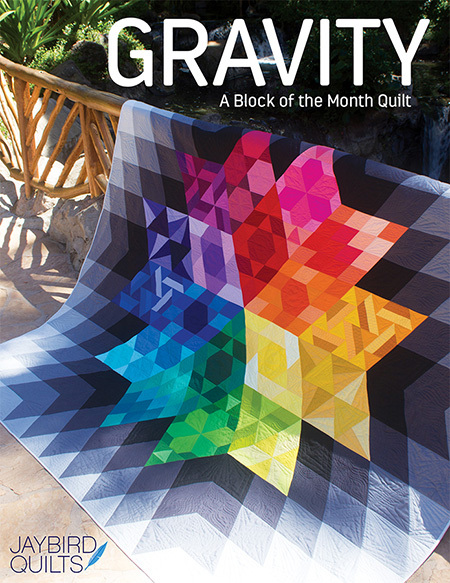 It will be coming to Quilt Shops and Bookstores this summer! An outtake from the author photo shoot... I can be a ham sometimes! 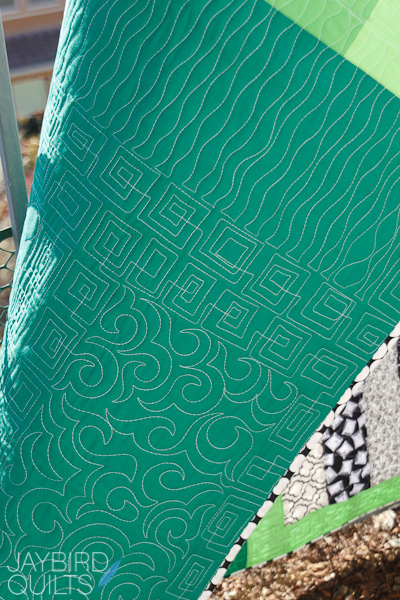 I can't show you the cover or any of the quilts yet, so I thought that you'd enjoy some sneak peeks. Edit: Cover is now revealed! Since I'm a huge fan of binding, I decided to write an entire chapter of the book on it! 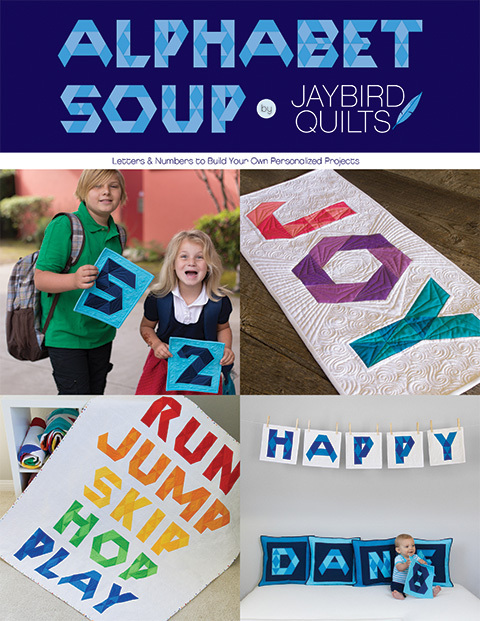 The chapter focuses on function, color options, details, math and more! I made 10+ little samples and bound them using all different styles! 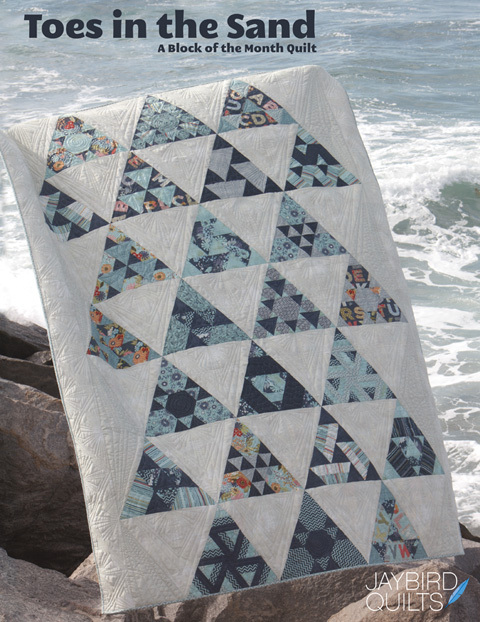 Binding is always important, but it plays an extra special design role in a borderless quilt. how exciting! congratulations, can't wait to read it! Congratulations! I can't wait to see it. 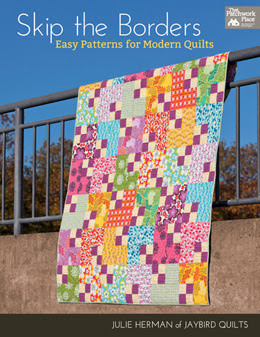 I don't buy very many quilt books, but yours is one I definitely will get because I love your style, colors and energy! Congratulations Julie! You have worked so hard and have given so much of yourself in your tutorials and blog posts and you are appreciated. I know I am purchasing this book for the content, but more importantly, to support you. My son is in San Diego and maybe I will get down there and take a class from you! Congratulations! i cant wait to see it. Wonderful way to start out the week! Picture is so cute and very Julie. I love your featuring bindings too.It always catches my attention (and not in a good way) when beautiful quilts have bad bindings, either in fabric choice or workmanship! Can't wait to get a copy! WooHoo!!! Congratulations Julie! And may I just say...that's a might fine set of guns you've got there LOL!!! Can't wait to see your book! Awesome! I can hardly wait to get a copy! Congratulations! Congrats! Can't wait to see it in person!! Congrats Julie! That is exciting. I look forward to seeing your new book. Awesome! Congrats to you!! 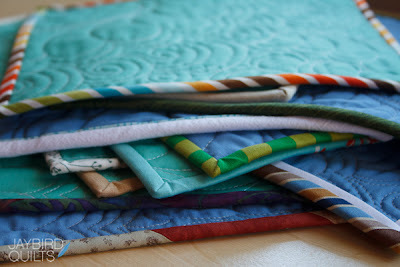 I love your pieced backs with quilt labels and excited to check out the full chapter on binding. Woo hoo!! I'm so excited for you. When I saw the first picture I thought it must be your daughter - you look so young and in such good shape. That's it, I'm going to do 10 pushups right now. Well, maybe two. Congratulations! Congrats to you! And nice arms! SO super proud of you my friend!!! Aha! So you've been playing the reclusive author! Congratulations! So excited for you and eagerly looking forward to having a copy on MY bookshelf! Congrats Congrats Congrats!!!!!!! So exciting!! I can't wait to see it!! Congratulations! I'll surely want a copy. Thank you for so many fabulous ideas! love your blog and patterns, just ordered the new book. Congratulations and thank you for sharing. Oh SO excited for you! Yes, it is awesome that its debut is on my Birthday! So proud of you! Congrats Julie!!! Look forward to the release! Wow! Congratulations!! I will be waiting for a signed copy, of course! Congratulations, Julie...how exciting. I was going to pre-order, but I will wait for a signed copy. You always have such good instructions, I am sure this will be great! 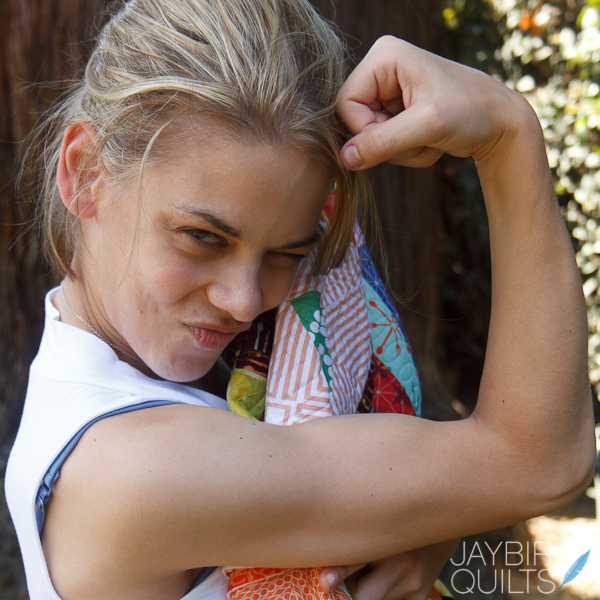 BTW...some great guns there, girl! Congratulations! Can't wait until August. Woo-hoo! You know I'll be ordering some as soon as I can. Congratulations! I can't wait to see more. Congratulations Julie. I am looking forward to seeing your book. I'm sure it will be wonderful and quickly become a Best Seller. Congratulations! I think that photo would have made a great cover shot. 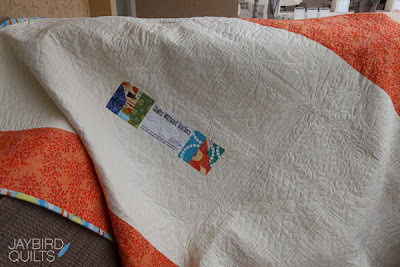 I love the idea of quilts without borders. congratulations!! you must be thrilled! Woo! Congratulations Julie! I'm sure it has been a labor of love! I can't wait to see it. Congrats! That is so awesome! Way to go Julie! So happy for you. I cannot believe I missed this post. Working 7 days a week doesn't make for much reading of blogs. Soon I'll be back to 5 days a week. Congratulations!!!! I'm so excited for you . . . . and me. I can't wait to get your book. I want a signed copy so I'll wait for you to get them. WHOOOOOOPPPPPPPIIIIIEEEEEEE! That is fantastic! I wish I could get a copy of it right away--it looks amazing, just as I would expect it to be. Congratulations - that is fantastic news! 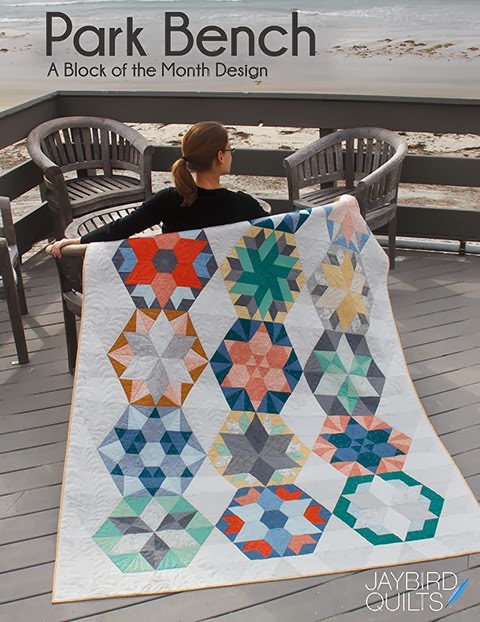 Borderless quilts? I'm going to have to look for that one! I'm catching up - and so excited for you! Congratulations! I'm so behind on my blog reading and just getting to this. Congrats!! I'm so excited for you and for the new book! congratulations on your upcoming book! how exciting!!! Oh my gosh Julie! How exciting. I'm so sorry I had missed this post until now. I've been behind and am trying to catch up an bit. Congratulations. I can't wait to get your book. I just put it onto my wish list because I KNOW it will be an awesome book to have. Awesome and congrats...just purchased it onAmazon! Great reviews all around...so very happy for you. Can't wait for my book to get here! I just bought this book on Amazon. Want to make a halloween quilt of the brick quilt. 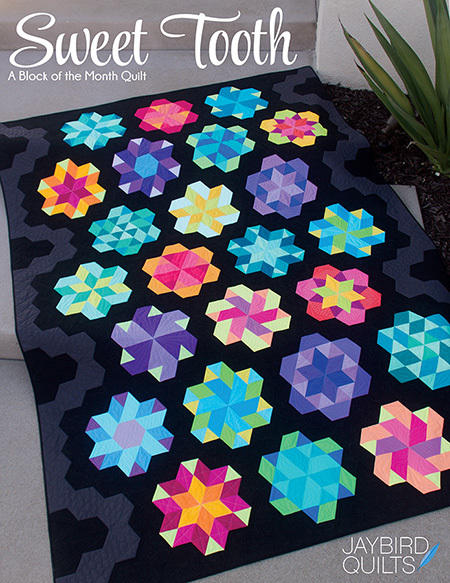 Fabric is on sale and trying to find out how much fabric I need for this quilt? Sponsored Giveaway: Featuring Ann Kelle!